Pressure sensitive, ready-to-use, latexbased adhesive. 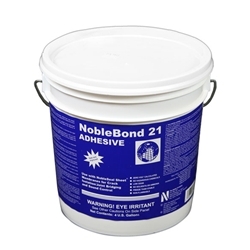 Use to bond NobleSeal sheet membranes for crack isolation/joint bridging and sound control on floors. Not suitable for vertical, exterior or wet area applications.